Looking for something to start off the new year with your students? Here's an easy and fun activity to do with students from 4th-10th grade! 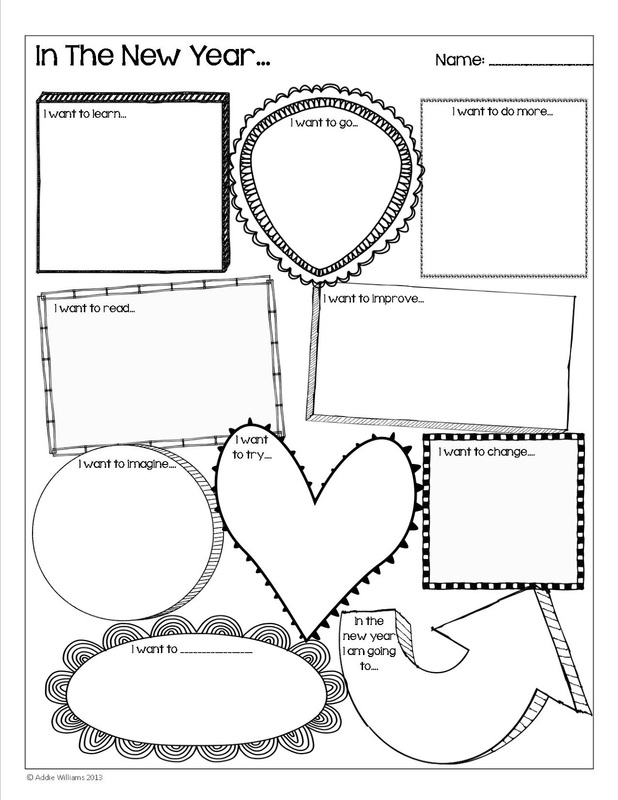 I use these graphic organizers as a way to get students thinking about their goals for the new year! I've included two organizers in the download - one with 10 questions for the new year and another one that is blank. Use the blank one to reflect back on the Top 10 events of 2014, the Top 10 books they read... lots of ideas to get students reflecting on their past or thinking forward to their future. Click the image to grab a FREE copy from my TpT Store. I like to do the activity too and share my goals and dreams with the class - it helps them to connect with me and see me as a real person. These make a nice bulletin board or classroom display - students love to read and share their goals with each other. I know this is an old post but I linked to it in my blog today that has New Year's freebies. Looks great! Thank you so much! I am going to use it for my Spanish I class to begin the Spring Semester. 2014 Holiday Blog Hop for Secondary!